Born in Daltongate, Ulverston on the 25th of March, 1853, John was the son of William Haddow and Agnes Poole. From what I can tell, John was a miner when he married Mary High at age 21, in 1875. It is understood that Mary was Scottish and John likely met her while in the navy because we see that in 1874, John joined the Royal Navy and served for just a few short months. John Haddow was honorably discharged from the British Navy. (Discharge papers in the file). Gratitude again, to cousin Anne McKeown, for this document. The circumstances that brought John and his wife, Mary High Haddow to Hamilton, are not clearly known to me as yet and I am still looking for documentation. 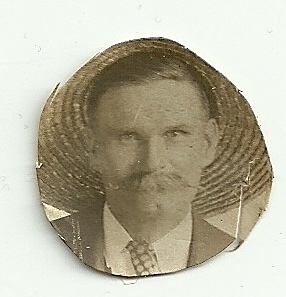 From what I can tell, John may have been mining when he married at age 21, in 1875. John, wife Mary, and children William Thomas, Agnes, Mary Eleanor and Margaret came from England to Canada on the HMS Sea King between Oct. 1880 and June, 1882. Front…sitting on edges, John Haddow and Mary High. 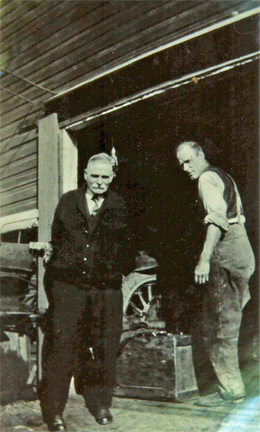 This is when John, the father of my great grandmother, Mary Eleanor Haddow, started to work for the Steel Company. He was in charge of all immigrants who worked there, a crew of about 60 men. 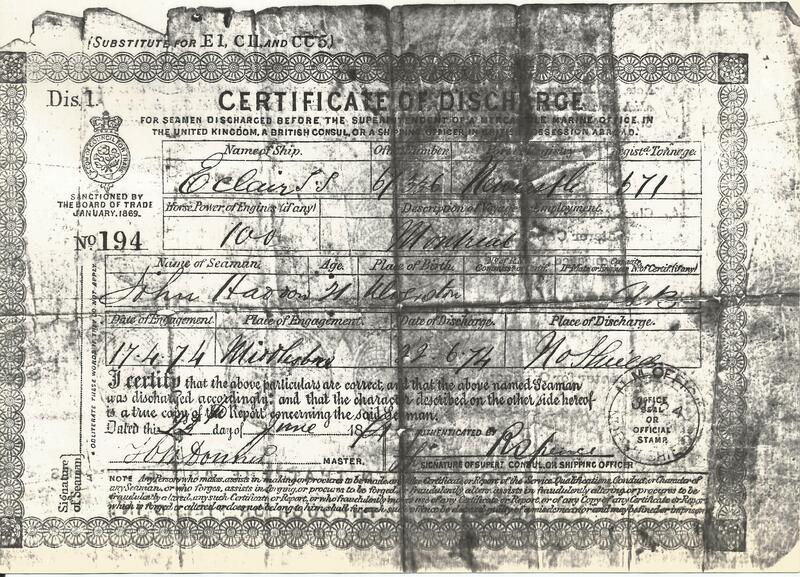 John, an engineer, became superintendent of the steel company on Wellington Street and it is said that on the day of his funeral, the shop was shut down in order to honour his life..
John paid $15.00 a month to live on Murray Street. His beloved Mary died in February of 1919, but John and some of his children continued to live at the residence until his passing. 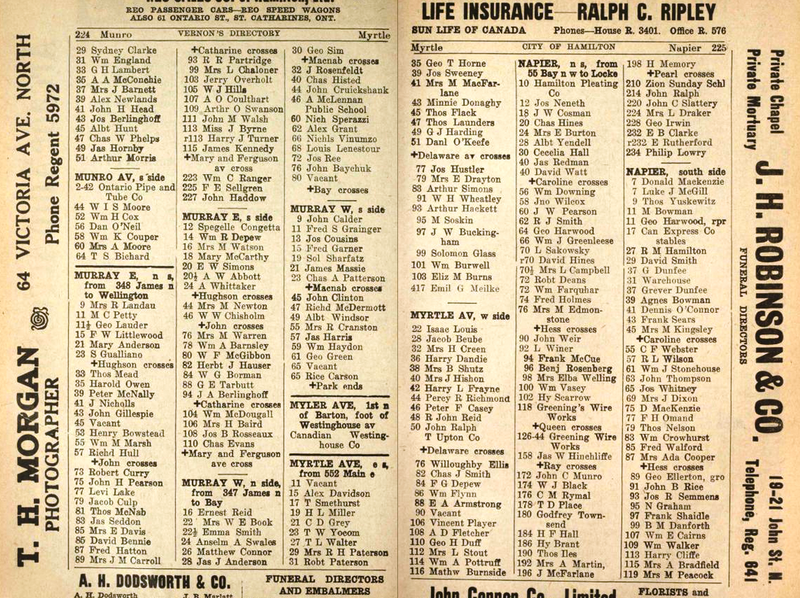 The image above is taken from a Hamilton directory and confirms John’s residence.. 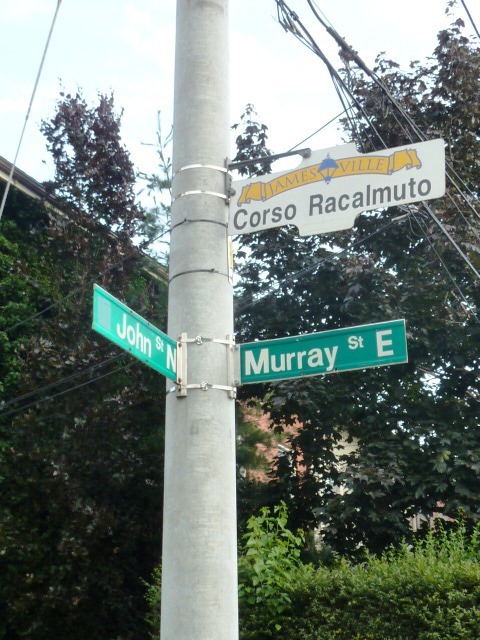 Apparently the family had to move out of the house on Murray Street when John died. They closed the steel company that day in his honor. When John died, at the age of 69, he left $1600.00 to each of the Haddow children. We know that John made at least one trip to Calgary to visit his son, William, and while there, told his granddaughter Edith, “Anything you learn when young will be remembered forever.” Edith remembered that John loved poetry. John Haddon, 227 Murray Street west, died at his residence yesterday, after a short illness. 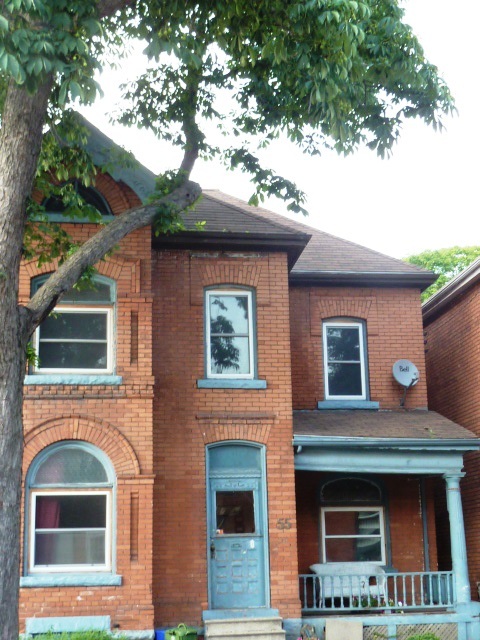 He was 69 years of age and had resided in Hamilton for 43 years. He had been employed by the Steel Company of Canada for over 30 years, and was a member of Unity lodge, S. O. E. Three daughters, Mrs. A. South, of North Bay; Mrs. E. Morris (should be Moors) and Miss Margaret, at home, and four sons, Thomas of Calgary; George, Joseph and Walter, at home, survive. The funeral will take place from his late residence, on Wednesday afternoon, at 2 o’clock. Interment will be made in the Hamilton cemetery. Anne McKeown, my cousin, forwarded me this photograph of John Haddow taken while on holiday with wife, Mary High and brother, John Haddow, at Niagara Falls, Ontario. Anne, my dear cousin in the east…in Kansas…forwarded me this photograph of John Haddow when visiting his son William Thomas out here in Calgary in 1923. John Ames of the City of Hamilton, Growth Planning department was initially very helpful with my research. 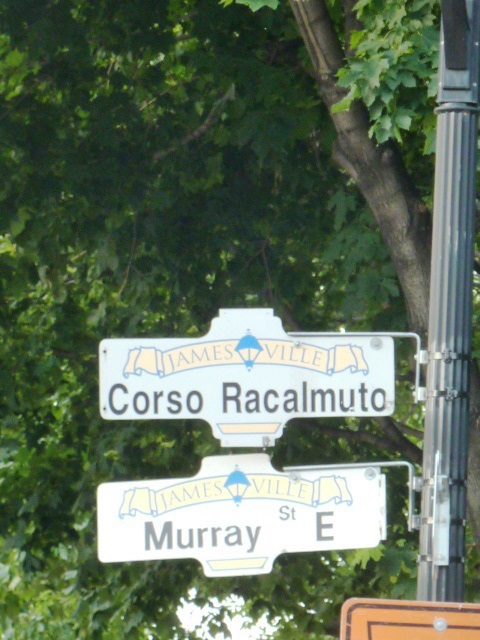 I realized early on that there would be no residence left where 227 Murray Street once existed. So, John and others provided me with some important links to the history of the location. This section of Murray Street disappeared during the First World War and the 1920’s as a number of industries occupied this area. According to Registered Plan 287 (July 1879) Murray Street extended from the existing street (at Mary St.) all the way to Wellington Street. The existing Murray Street house at Mary Street is #115, so your great-grandfather’s house at #227 was on the eastern edge of a complex which included the City Jail, two railway lines, and growing industries which were displacing the original homes. #227 Murray St was Lot 132, RP 287, right beside the railway line. In 1929 there was a remnant residential area on the north side of Murray Street east of Ferguson which included #227 (223, 225, 227). The resident was Edwin J. Walker. By 1930 all the houses were gone. If you can, see http://library.mcmaster.ca/maps/airphotos/zoom/1934_A4871_15 to see what that part of Hamilton looked like in 1934. Use a ruler to visually extend Murray Street four blocks to Wellington Street; this is the part of Murray Street east of Mary which has disappeared. 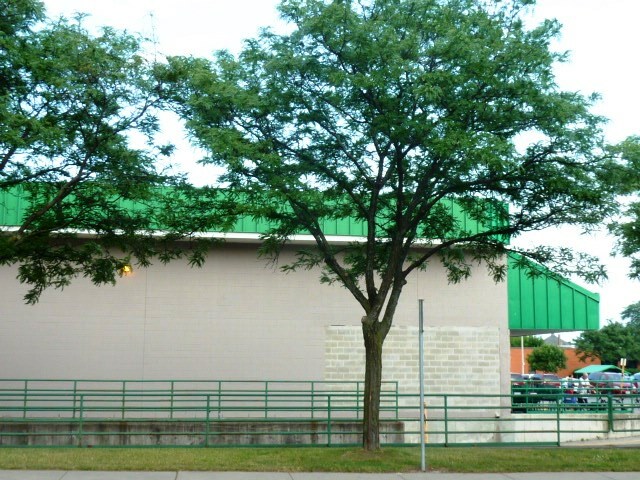 The Food Basics store was built in 1980 on the foundations of the Dominion Cotton Mills circa 1903, which is the large T-shaped building along the east side of Mary Street. With the old Barton Street Jail, a large city asphalt plant behind the house, and other heavy industry all around, this was not a very liveable area. As a correction to my last e-mail, the cotton mill on the east side of Mary Street at Murray Street was not Dominion Cotton Mils but was in fact the Hamilton Cotton Company. 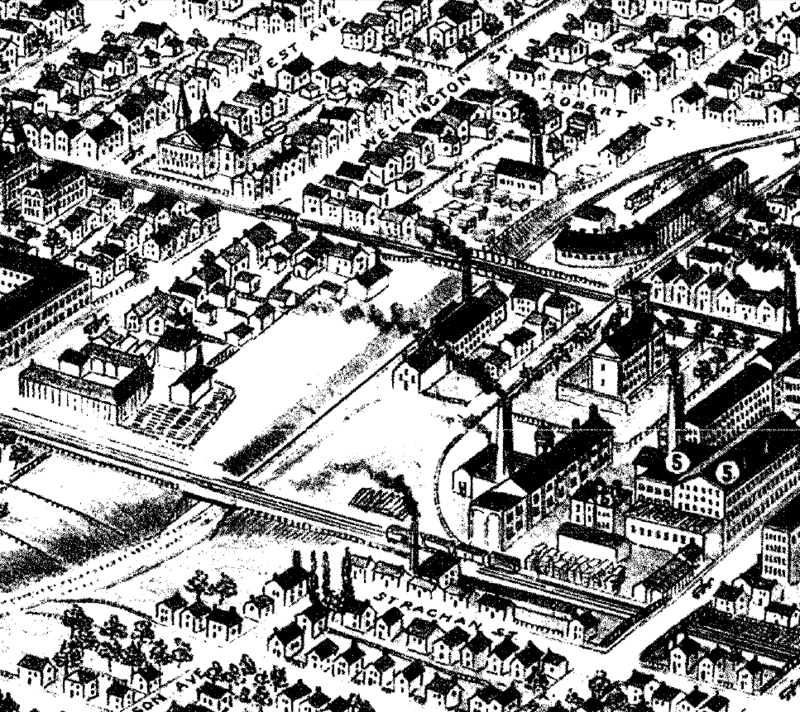 There were at least seven cotton mills located in Hamilton, hiring as many people as the steel plants in the early part of the 20th century. I have included a typical “birds eye view” of Hamilton in 1893, looking south. Hamilton Cotton Co. is marked as No. 5. Most of the alignment of Murray St. further east is not laid out, but there is a small group of houses to the east (left) which does mark the intersection of Murray St. and Wellington St., and I am positive that one of them is 227 Murray St. My earlier estimate of the location of 227 Murray St. in a little bit off: it should be closer to Wellington St.
As you can see from Google, most of the site has now been cleared and serves as parking lots for the Hamilton General Hospital and associated clinics. I did a bit of cropping in order to create a snippet of a map dating back to 1934…pin pointed the area where the Murray Street house would have stood. I am very grateful to the Hamilton Public Library and for John Ames of the City of Hamilton for their awesome help in my research. 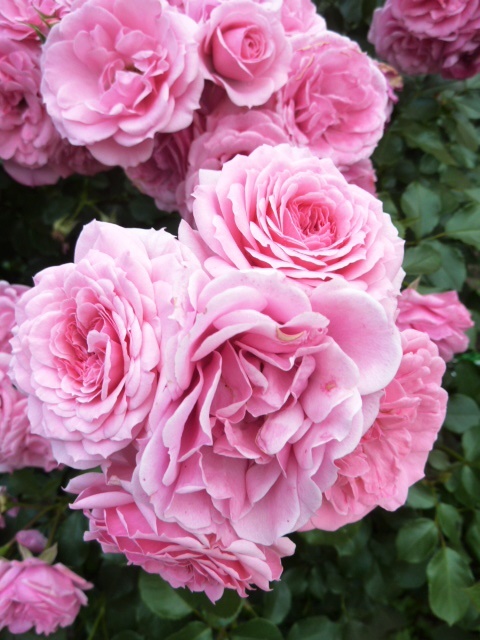 While in Hamilton, I walked the neighbourhoods, visiting with individuals along my walk, particularly a little Italian family, as I admired their rose bushes, adjacent to the block where my great grandparents would have lived. 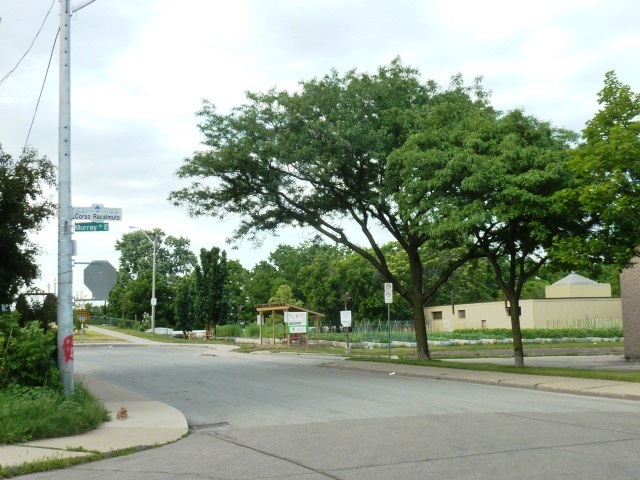 Grocery store and parking on block where John Haddow and his neighbours once lived. Similar period, style and location on Murray Street East. It has been a blessing to explore the places where my ancestors settled, worked hard, and enjoyed the joys of family. Welcome to my my blog, George. I have met you via ancestry.ca. I’ve driven east from Calgary to be with my fatherin Belleville. Sadly, at the end of May, my beautiful mother passed away. I hope to visit the Hamilton area before I have to return to Calgary. By the way, Calgary and surrounding area is in need of prayers and positive thoughts at the recent experience of horrible flooding and natural destruction. Thank you for wandering on to my blog and leaving me a comment. Let’s stay in touch.